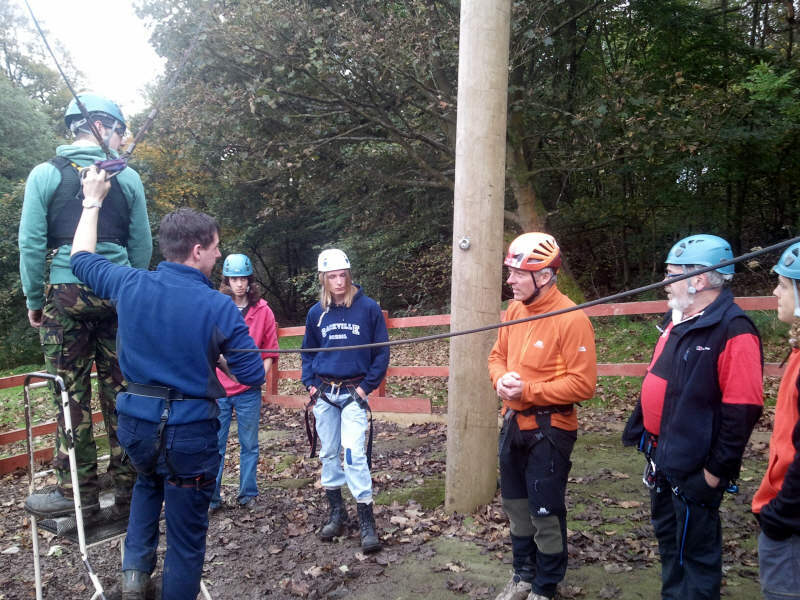 Last week it was once again time for Steve Spalding (who is the centre's external advisor for roped activities) to pop down so that the staff could have their annual assessment, and also to look at how the various activities have been running during the past 12 months. 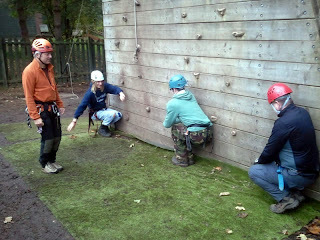 Steve came down for 2 days - friday for most of the full-time staff and then a sunday session for the volunteers. 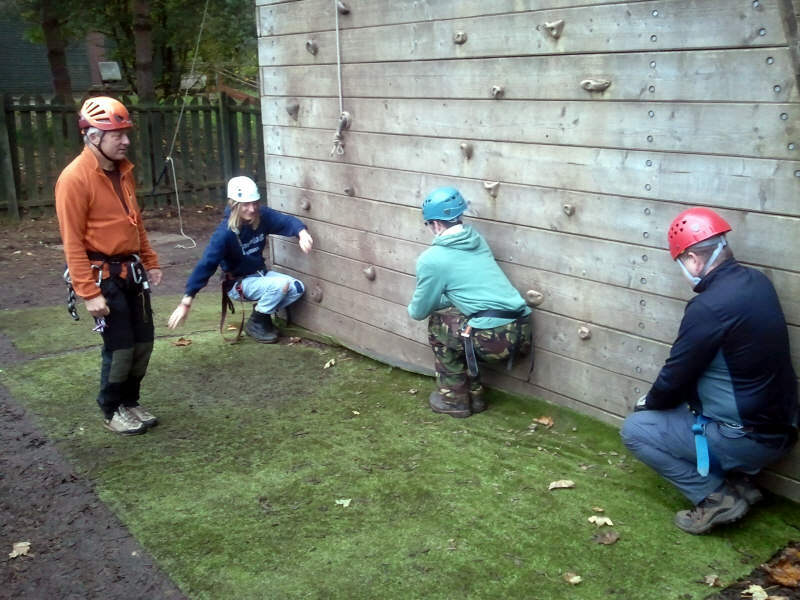 Starting off at the climbing wall, he assessed everyone for their setup / belaying / group skills before going on to look at different ways in which we can teach participants to climb the various walls more efficiently. 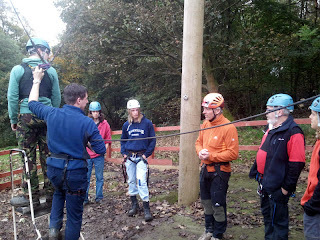 After that it was onto the crate-climbing, abseiling and finally 3G swing - where we spent quite a while looking at ways in which the current setup and operating procedures could be modified to make the running of the sessions more efficient. Lee also kindly acted as a 'stuck/scared scout' so that we could be assessed on a few different procedures which are required to lower clients safely back down in the event that there is any problem with the release mechanism. Above / below : Lee bravely acting as a pretend scout for the 3G swing. 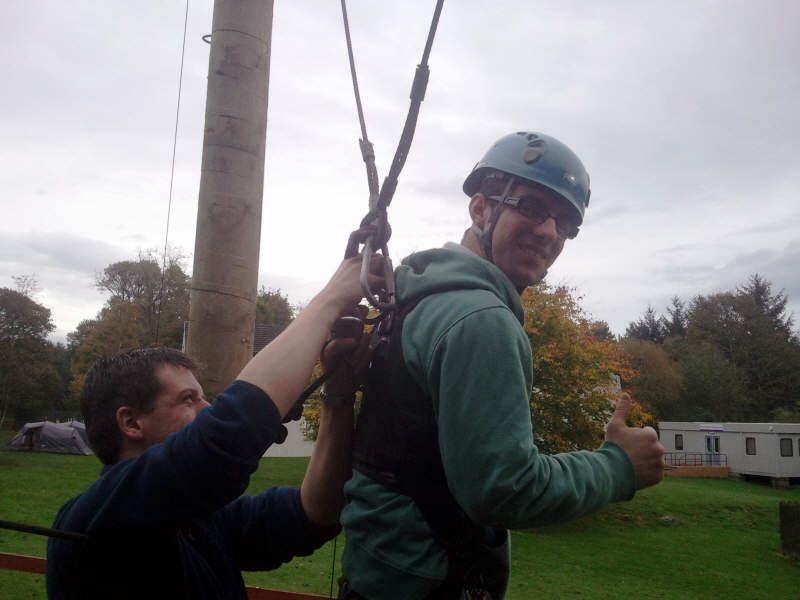 Steve's back shortly for further assessments (zipline and jacob's ladder) and the centre also has our own annual GNAS archery and first aid courses coming up very soon in November and December respectively, so more reports on those soon.